Olo – means… Strength, Power, Completeness. Onuma – means… Endurance and Wisdom. Olo Onuma, a fitness & business professional of Life Time, is a Fitness Entrepreneur with a successful experience in servicing and transforming peoples lives significantly. Olo is also behind the incredible program within Life Time called Evolution Lifestyle Fitness. Raised by a very structured family of success under the African cultural umbrella of Nigeria, striving for anything less than excellence was unacceptable. Since early childhood, Olo always wanted to make more of an intentional difference in people’s lives. That desire eventually shaped into a personal mission and vision of not only making a difference but making it significant as well… locally, nationally and globally. Well, in order to make this mission and vision a lot more effective like everything else, he decided to start with himself at an early age. Being an ambitious person, he was able to take advantage of his self discipline and dedication to transform himself accordingly and became much more fit overall. He immediately got involved in fitness modeling and some acting. People were approaching him at the gym with lots of questions and he maximized on it to help delightfully. He was constantly asked or assumed to be a trainer, so he joyfully became one. Best decision he made to align on his purpose of making a significant difference in people’s lives. Many years in the game, in Olo’s words “so far so beautiful”. An elite force to be reckoned with when it comes to delivering outstanding experience and results done right as well as using the Life Time unique system for a much better optimal outcome. Note: Olo Onuma also leads and works with a Team of All-star Fitness Professionals within Life Time and beyond. Expect a service of team excellence! Awarded & Recognized for the Trainer with the best Customer Service – Life Time Athletic of Falls, Raleigh NC. 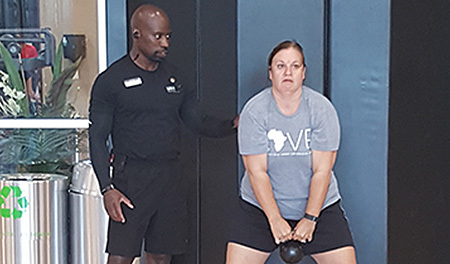 Awarded & Recognized for the Trainer with the best Customer Connectivity & Rententive Experience – Life Time Athletic of Falls, Raleigh NC. Multiple times Gold Shirt Winner (Lifestyle Family Fitness NC District Top Trainer & Producer). Multiple times Plantation Point Club MVP Winner. Lifestyle Family Fitness Raleigh, NC. Acknowledged by his fans and others for delivering one of the most successful client transformation result & experience. 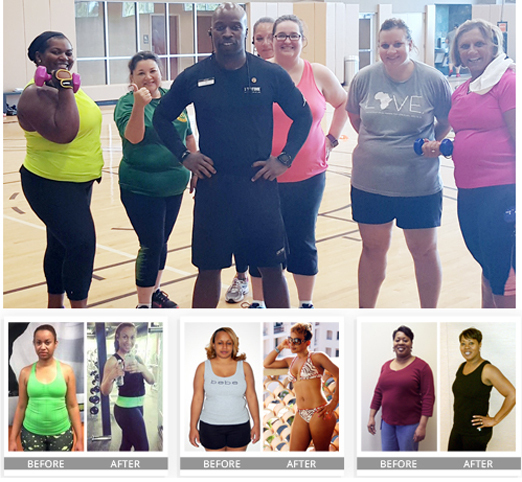 Trainer for Multiple National Runner-up & Finalist participants of Life Time Transformation / Weight loss 90 and 60 Day Challenges. Life Time Artistry Award for Team Excellence. Multiple times Exclusive Team Leader of the Year.